Vienna's international airport is located in Schwechat, 18km southeast of the city centre. After passing customs (for arrivals from outside the Schengen zone) and collecting your baggage, ATMs, banks and tourist information can be found in the arrivals hall. To get to town, there's a choice of rail or road. The City Airport Train (CAT, +43 1 252 50, www.cityairporttrain.com) departs every half hour between 06:06 and 23:36, arriving at U-Bahn station Wien Mitte. The ride takes 16 minutes and costs from €11 for a single trip, and from €17 for a return trip (book online for the best price; reduced rate with the Vienna Card). You can also take a regular S-Bahn train, departing from the airport to Wien Mitte station approximately every 30 minutes between 04:34 and 00:18; tickets cost €4 and the ride takes about 25 minutes. Vienna Airport Lines buses (tel. +43 1 700 73 23 00, www.viennaairportlines.at) depart every 30 minutes between 05:00 to 23:00, stopping off at U-Bahn Schwedenplatz, the train stations Wien Meidling and Wien Westbahnhof and the Vienna International Center (VIC), taking about 30 minutes. A single ride costs €8, a return trip €13, and tickets can be bought from the driver. Taking a taxi to the centre takes about 15 minutes. If you just hop into a waiting taxi outside, the ride will cost about €45, including the fee for returning to the airport empty; it costs €33 if you mention to the driver or dispatcher that you'd like the set price (Pauschaltariff). Vienna's new Wien Hauptbahnhof (central station) is a short distance from the city centre; hop on tram D to reach the Ring. There are plenty of luggage lockers and ATMs for fresh arrivals, and there's a helpful tourist information office. All international buses arrive at the Vienna International Busterminal (VIB), which has ATMs and luggage lockers. Right across the street is the Erdberg U-Bahn station, from where it's a 10 minute ride to the city centre. Major highways lead from Vienna west to Munich, south to Venice, east to Budapest and north to Brno. Driving the 350km from Munich will take approximately four hours, the 250km from Budapest are covered in three hours. 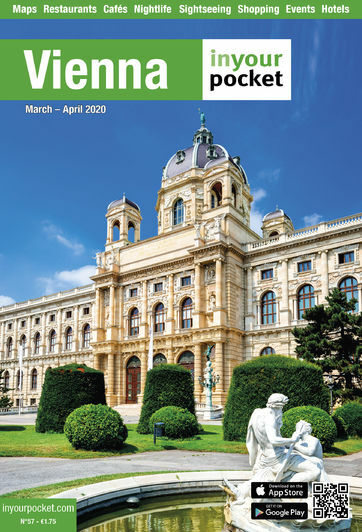 When parking in Vienna, pay attention to the short-term parking zones in the inner districts of the city; using the well-signposted Park & Ride facilities (€3 per day) in the outer districts and taking an U-Bahn or tram into town is a good idea. The Danube river is increasingly used for ferry routes to Hungary, Slovakia and Germany. Ferries arrive at Anlegestelle Reichsbrücke near U-Bahn station Vorgartenstrasse. Twin City Liner boats dock at Marienbrücke bridge near the Schwedenplatz U-Bahn station.